Apps that fall into the Health and Fitness, Medical or Lifestyle categories are always going to be some of the most popular options available on the App Store at the turn of the year. The beginning of January always seems to mark the time when people want to get their mind and body in shape and start the new year with a push towards physical fitness and improving their overall health. The runtastic Heart Rate PRO app may not offer any insight into healthy living or provide any insightful diet tips, but it does allow users to accurately measure their current resting and working rates simply by covering the rear camera lens with their finger. This isn’t the first time we have seen an app of this nature. We have previously encountered iOS offerings that measure heart rate using the camera based on perspiration levels and reflected light off the skin’s surface, but this is one of the only that allows a finger to be placed over the lens and the heart rate to be captured that way. 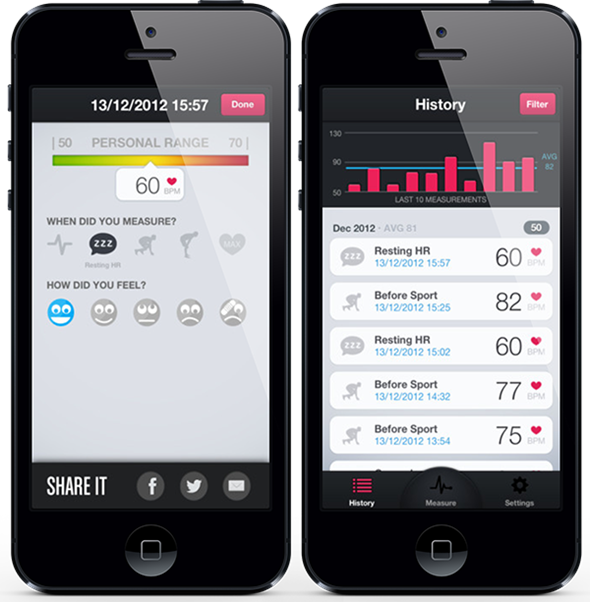 The development team have also added in handy filter functions that allow users to filter their results by measurement types such as maximum heart rate, working heart rate and resting heart rate. 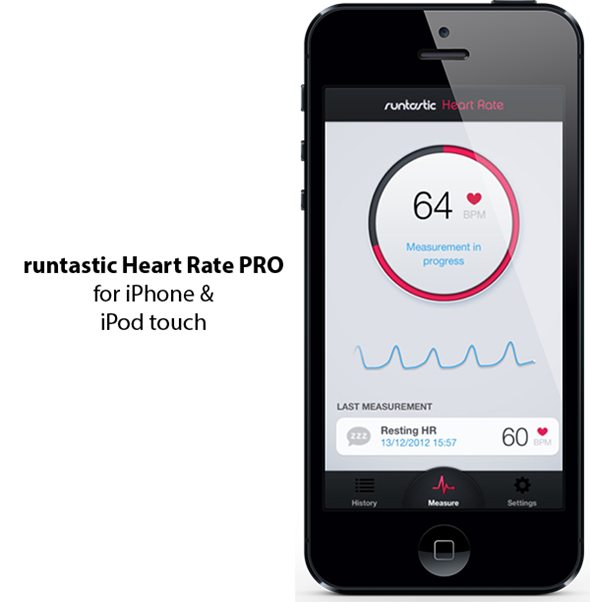 The app offers unlimited heart rate monitoring, with all results being plotted nicely onto a graph for those who prefer a more pretty and analytical look at current and previous results. Built-in reminder features also allows the user to schedule when they wish to capture their heart rate, perfect for recording pre or post workout recordings. All results can be uploaded directly to the runtastic website for safe-keeping as well as for analyzation purposes. Additionally, users can opt to share results through social networks like Twitter and Facebook or through a more simple sharing mechanism like email. As you might imagine, there is a lot of black magic and science behind the app, and although, it is an innovative use of the iPhone camera, it isn’t always perfect. Users are advised to keep their finger as still as possible when attempting to capture a heart rate as well as ensuring that they don’t press too hard and that their finger is not cold.